Randy Kester began his legal career in 1978 while still in college working as an investigator, law clerk, paralegal and eventually as a lawyer for a local law firm from 1978 to 1986. 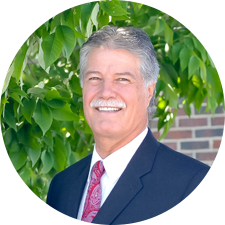 In 1986, Randy and Allen Young formed Young & Kester which has continued as a reputable and successful firm. With the addition of new partners, the firm has grown to its current designation of Young, Kester, Black & Jube. Even as a young man, Randy realized that a strong and healthy society requires an involved citizenry to contribute to leadership roles, formulation of laws and policies and service to others. Randy served in elected student body positions as early as high school and continuing thru college. He was also elected Lieutenant Governor to the Utah Intercollegiate Assembly, a State wide student body government which formulates and proposes legislation to address issues affecting the lives of Utah’s college students. Randy was also a member of the Order of Demolay achieving status as Master Councilor, Representative Demolay and the Chevalier Degree. While in High School, Randy attended Boys State, later joined the US Army during the Vietnam era, received an honorable discharge from the US Army with continuing membership in the American Legion. In college, he earned Degrees as a Paralegal, Political Science and thereafter his Law Degree. Randy has also served on the Executive Board, Utah National Parks Council for the Boy Scouts of America and received a Boy Scouts of America James E. West Fellowship. As an attorney, Randy has continued that service as a guest speaker at local Universities and Schools, Mock Trial Judge, service on University Advisory Boards, the Utah Valley University Alumni Board and received the Inaugural Outstanding Alumni Award in Humanities from that same institution. He served two terms on the Utah State Bar Commission, was President of the Central Utah Bar Association and served on the Utah State Sentencing Commission under Governor Huntsman. As a member of the A. Sherman Christensen, American Inns of Court I, Randy served as a Barrister and Master of the Bench. He has served the State and local Bar Associations as an appointee to the Utah Supreme Court Committees on improving jury service and Juvenile Court Rules; was a Charter appointee to the Access to Justice Foundation and many other State Bar Committees and Sections including Criminal Law, Needs of the Children, Ethics and Discipline. Randy is a skilled and experienced litigator. He is familiar with the inside of a courtroom having made thousands of appearances as an advocate including civil and criminal Bench and Jury Trials, Juvenile Court, Administrative Hearings, Sentencings, Arbitrations and Mediations. The settlements and judgments obtained for his personal injury clients total in the millions of dollars. Randy has acted as counsel for several high profile individuals including most recently, actor Gary Coleman. His successful representation of his clients and victims in the areas of personal injury, family and criminal law have received national and even international attention. In addition to local media appearances and Sports Illustrated , Randy has appeared on 20/20, Today Show, Good Morning America, Geraldo, Jane Velez Mitchell and the Early Show. For his entire practice, he has been exposed to the often tragic circumstances faced by clients by way of catastrophic injury, death, dissolution of one’s family and estate, or the prospect of public humiliation and incarceration. He has gained an appreciation for what each ones goes through in these circumstances and how to best help in maneuvering the obstacles and challenges of the legal system. Randy’s level of skill and ethics is reflected for over 10 years, being rated by Martindale-Hubbell National Peer Review Rating as AV, the highest awarded by this National Association. His years of practice, experience, skills and understanding have made him an effective mediator, advocate and litigator who can provide you an appropriate and successful approach to your legal problems.